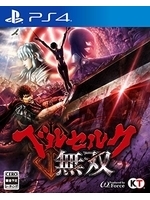 Set to release on February 21 2017, Berserk and the Band of the Hawk reveals today its Endless Eclips mode which allows players to fight waves of enemies in the Eclips dimension. New screenshots also depict alternative weaponry and stages plus a trailer showing Schierke in action. Burlingame, Calif. – December 1, 2016 – KOEI TECMO America today revealed a brand new ‘Endless Eclipse’ game mode, alongside new details on battle mechanics and alternative armaments on offer within developer Omega Force’s most brutal Warriors style title to date, Berserk and the Band of the Hawk, slated to launch on February 21, 2017 for the PlayStation®4 computer entertainment system, digitally on the PlayStation®Vita handheld system and on Windows PC via Steam®. A selection of new screenshots released with today’s announcement help to introduce the new game mode, and provide a first look at in-game stages as well as alternate weaponry and abilities. An endless swarm of enemies awaits those brave enough to take on the game’s Endless Eclipse Mode, where players can prove their worth as they go toe to toe with countless enemies in the formidable Eclipse dimension. 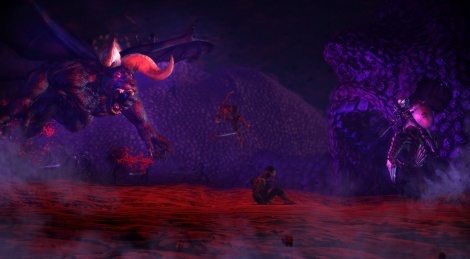 Offering a unique and challenging respite from the main story, the new mode has players fighting for their life as they rush to complete various missions to overcome the deadly Eclipse. Slashing their way through this realm will gradually present them with stronger opponents and harder missions pushing players’ skills to their limits. Success comes with rewards however, and those who manage to withstand the challenge will find themselves better equipped to tackle the main game mode. Berserk and the Band of the Hawk also features exciting new battle mechanics and sub-weapons to diversify combat and provide greater immersion into the dark fantasy universe. Alongside his or her weapon of choice, each character wields a potent sub-weapon offering unique abilities and effects, allowing players to gain the upper hand in tight situations. However, the extra boost of power comes at a price – unlike standard weaponry, sub-weapons become temporarily unavailable after use. For example, alongside his Dragonslayer, Guts wields a crossbow and an artificial arm cannon allowing for quick-fire or explosive long-range attacks which clear all enemies in sight, whereas the fearsome apostle Zodd can perform brutal rush attacks to clear enemies from his path. Meanwhile the young witch, Schierke, has the ability to cast powerful spells and deal great damage to enemies while afar, as well as summon companions to aid her in combat, making the magic conjurer a useful companion on the battlefield.